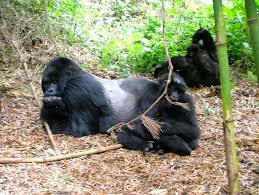 the easiest group to access which carrying out mountain gorilla trekking in parc de volcano. It’s led by a strong silverback called Guhonda, which is the largest silver back of all the groups found in Rwanda, he has commonly be known for his massive appearance which is so attractive to the tourists who come for gorilla safaris to Rwanda. This interesting Guhonda has forcefully kept his challenger Rwanyo out of the sibyinyo and it has remained a lonely silverback. The Guhonda has been visited by many people because of its interesting features which have attracted many mountain gorilla tracking safaris to Rwanda. This group was mainly named after the so called Sabyinyo volcano which meant ‘old man’s teeth, this group is the one which is closest to the edge of the park and its composed of 8 individuals, that’s to say, one silverback, which is the largest in the park, three adults which are females, one non adult female member and two juveniles with one baby. All these members of the group have got wonderful features which have been liked by tourists who come for gorilla trekking safaris to Rwanda. Guhondo, who is the leader of this group, makes sure that the group is safe, therefore he provides security to the group, he also makes sure that the group is feeding well and also preparing nests for the group. All this is enjoyed by the visitors who track this group thus increasing the number the number of gorilla adventures to Rwanda.